“Taxonomy” sounds like a word you would only hear in science class. Well, the term does come from biology, but we’re not here to talk about that. Simply speaking, WordPress taxonomy is used to group content. In this article, we will explain what is WordPress Taxonomy, what are Custom Taxonomies and how to create them. WordPress Codex defines taxonomy as a grouping mechanism for all of your content. In short, it allows you to group your posts based on shared characteristics. Let’s say that you have a website about movies. Chances are you want to group the movies based on genre. Taxonomy allows you to do just that, thus helping users to navigate your site. Two of the most popular WordPress taxonomies to group posts are Categories and Tags. They both rest under the taxonomy umbrella. In total, there are four taxonomies in WordPress that you can use to group your posts. The category taxonomy lets you group your post into hierarchical categories. There are two different ways to group your posts via Categories. The first way is to log in to your Dashboard and head to Posts -> Categories. There, you can define your categories, as well as add in the slug and define child categories. Adding categories and setting the parent-child relation. The second option is to head to Posts -> Add New. You can add categories directly from the panel next to your visual editor. While it is the easier option, it doesn’t let you define the slug and description. Tags are similar to categories – it groups your posts. However, it doesn’t have a hierarchical structure. A tag is a single parameter that puts your similar posts together, but it focuses on smaller details of your content, rather than overall themes. Let’s say that you want to create genres and subgenres for your movie website. You can do that by using category taxonomy, as it supports hierarchical structure. If you want to group movies of any genre with Brad Pitt as the main star, you can add tags. 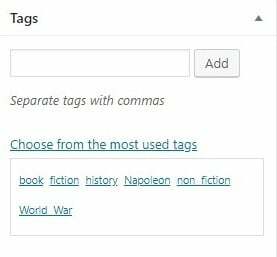 Creating tags is similar to creating categories. You can do it either from Posts -> Tags or panel next to the visual editor. Slug and description can also be defined. We’ve covered about WordPress tag in detail here. Pay it a visit for further information. Protip: While tags are optional, categories are mandatory for your posts. Every post needs at least one category. 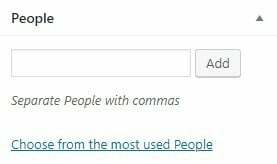 By default, WordPress will automatically put your post under “Uncategorized” category. The other 2 taxonomies are not visible to visitors. Although rarely used, they are still worth mentioning. This taxonomy lets you categorize your links. If you link to many sources on your posts, you’ll find this feature particularly useful. 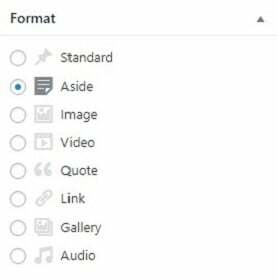 Post_format enables you to categorize your posts based on the types – videos, standard, audio, and more. You can find the panel next to your visual editor. At the right side of your visual editor, you can see the “Categories” and “Tags” label. What if you want to have your own taxonomy that says “People”? Here’s where custom taxonomy saves the day. You can customize your taxonomy to better accommodate your needs. For example, think of a fitness website. Instead of having a general taxonomy that says “categories”, it would be better to have different taxonomies that say “Cardio” and “Floor Exercises”. Each taxonomy can be further modified with sub-categories like “Jogging”, “Intermittent running”, and “Crunches”. The same case goes with tags. You can have a tag that says “Fitness Instructor” instead of the default names. There are two different ways of creating Custom Taxonomies. You can do it with plugins, or you can do it through coding. Plugins make everything easy and creating a custom taxonomy is no exception. You don’t need any technical knowledge to do it. The recommended plugins for creating custom taxonomies are Custom Post Types UI and Pods. Let’s try using the former for the example. Complete the box with your taxonomy name. In our case, we use “Floor Exercise”. Also, choose the post type on which you want to apply the new taxonomy. Hit Add Taxonomy button at the bottom. If you head to Posts -> Add New, the new taxonomy will appear next to the visual editor. 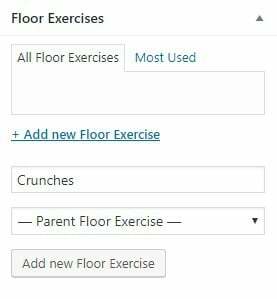 You may notice that the new taxonomy is a tag called “Floor Exercise”. 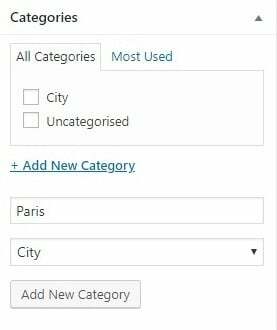 What if you want to create a category instead? Easy! Scroll down a bit and change Hierarchical to True. You can also use the plugin to create Custom Post Types. Learn more about it here. You should choose this method only if you are comfortable with coding. If not, ignore this tutorial and stick to using plugins only. For advanced users, you only need to add a few lines of the functions.php file of your theme’s directory. Please be aware that the codes for the hierarchical taxonomy are different from the non-hierarchical one. That’s it! If the process is done correctly, a new taxonomy called “Topic” will appear on your visual editor. WordPress Taxonomy is used to group your content. You can use categories for broad topics, and tags for details in your text. You can also create custom taxonomies using plugins or functions.php file. 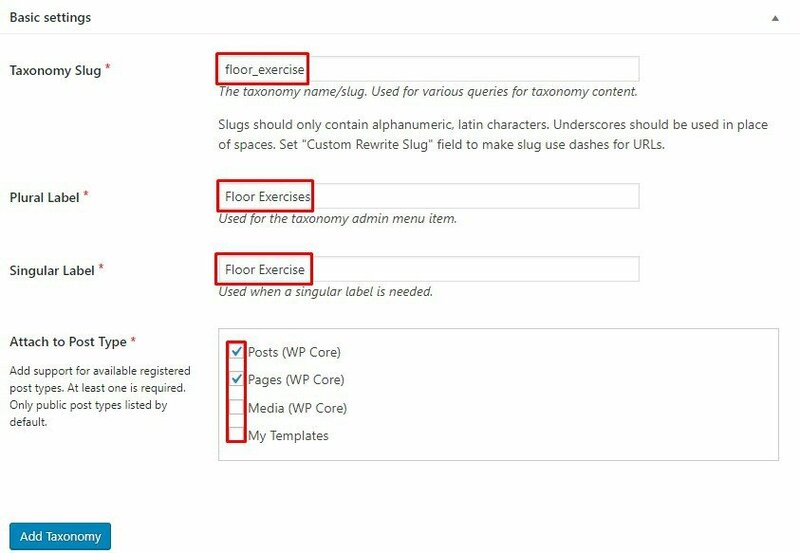 Correctly utilising WordPress taxonomies will help boost your website’s user experience.